To provide the finest endodontic (root canal therapy) care in a relaxed and compassionate environment, while committed to utilizing the latest advancements and innovations of science. Our goal is to save natural teeth, to relieve dental pain, and to prevent expensive and time-consuming extractions and implants. 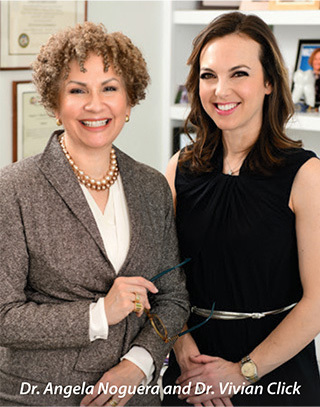 Dr. Angela Noguera and Dr. Vivian Click are both board certified endodontists. 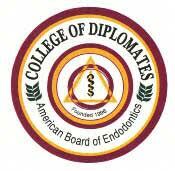 They are known as Diplomates of the American Board of Endodontics. This is the highest level of certification in their profession. It requires an extraordinary commitment to acquire the level of education and skill to achieve this distinction. 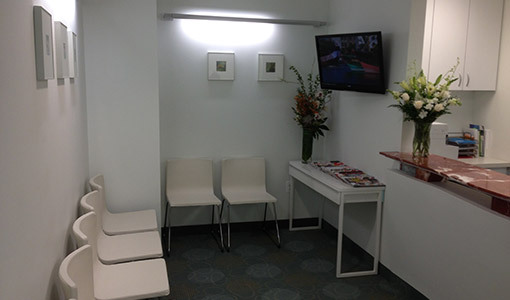 Dr. Noguera has been in private practice in the Washington DC area for more than 25 years. Dr. Vivian Click joins Dr. Noguera from private practice in Honolulu, Hawaii. Dr. Noguera, Dr. Click, and the DC Endodontic Center are widely recognized in the dental community for providing excellent patient care, service, and communication, with both patients and their dentists. We strive to exceed patient expectations and ensure that the experience is a positive one. We work very closely with the general dentist to ensure that patients fully understand their treatment plans and receive the best possible care. We believe it is important to truly listen in order to answer questions and concerns, which enables us to put our patients at ease. 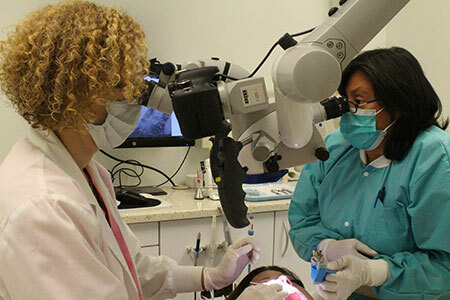 The DC Endodontic Center is located in a new state-of-the-art facility where we offer the "latest and the greatest" treatment and technology options available. 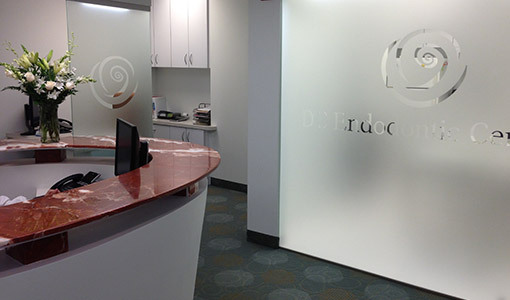 At the DC Endodontic Center we continually seek opportunities to enhance our knowledge and skills. In an effort to become "green", we are a completely paperless facility. All communication, including patient charts as well as all images (x-rays) are digital, which minimizes the amount of paper, printing and most important, radiation to our patients, while avoiding the use of developing chemicals hazardous to the environment. The use of digital affords us instant and current communication with our patients and their dental team. The Washingtonian magazine has a long tradition of publishing a list of the top dentists in the Washington, DC area. Dr. Noguera is proud that, on each occasion, she has been nominated by her peers as a Washingtonian "Top Dentist." We are Board Certified Endodontists specialized in the diagnosis and treatment of tooth pain - specifically root canal therapy. Our decades of experience and state of the art technology ensure optimal outcomes. We routinely use dental microscopes, digital radiographs, and small field CT scans. These enable us to deliver a minimally invasive technique, which is considered the gold standard for faster healing and tooth conservation. We strive to preserve not only your tooth, but also any crown or bridge you might have in the affected area. We know that nothing looks, feels, or functions like your own teeth. At the DC Endodontic Center, we are passionate about saving your natural teeth. We have one goal: excellence.